So many factors go into damaging your skin. Your dark and dull skin could be the result of overexposure to the sun or environmental pollution. It could also happen because of a medical condition, poor lifestyle choices, and extended use of some chemical-based products. Whatever the case, you may be looking for ways to whiten your skin like before. It is possible to learn how to get white skin by identifying the underlying cause of your skin problems and eliminating it. Let's find out how you can improve your complexion using natural remedies. While there are many skincare products promising white complexion, most of these products just do not work. They may actually damage your skin because they have harsh chemicals. You do not need to waste money and time on these products, especially when you can make use of natural remedies to whiten your skin. 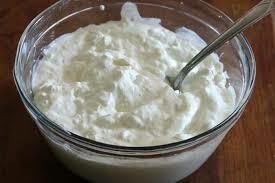 One simple way to improve your complexion is to apply yogurt directly to your skin. It contains nutrients that help keep your skin healthy. It also has lactic acid that works like a bleaching agent to help whiten your skin. How to apply: Take plain yogurt and rub it gently onto your skin. Leave it there for a few minutes and then wash it using lukewarm water. Do it once a day for a few weeks to see positive effects. Wondering how to get white skin? Try oranges. Oranges provide you with loads of vitamin-C, which works as an antioxidant and prevents oxidative damage to your skin. Oranges are also effective because they have bleaching properties and work amazingly well to lighten your skin tone. How to apply: Add a pinch of powdered turmeric to two tablespoons of orange juice. Combine well and then apply this mixture directly to your skin. Apply it before going to bed and then wash it after half an hour. Do it once a day for good effects. 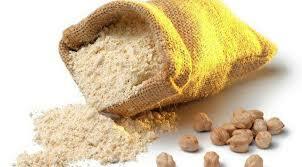 Not only does gram flour lighten your skin tone, it also helps protect your skin and prevents aging effects. It eliminates excess oil from your skin and prevents acne and other skin problems. How to apply: Add some gram flour to a small amount of water and make a smooth paste. Apply it to your skin and leave it for a few minutes or until the paste dries completely. Wash it off using fresh water. Thanks to its antibacterial and antifungal properties, honey works great to prevent acne and other skin related problems. It moisturizes your skin and also improves your skin tone while reducing the appearance of age spots. How to apply: Take pure honey and apply it directly to your skin. Leave it there for a few minutes and then wash it off using lukewarm water. Do it regularly to get rid of dead skin cells and make your skin look fresher and brighter. One way to learn how to get white skin is to learn to use lemons properly. The acid in lemons works as a bleaching agent and lightens your skin tone. It also contains vitamin C that not only prevents oxidative damage but also promotes new cell growth. How to apply: Take some freshly squeezed lemon juice and apply it to your face with the help of a cotton ball. 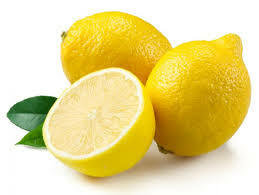 If you do not have very sensitive skin, you can also rub one-half of lemon directly to your skin. Wash your face after an hour using fresh water. Do it daily to help improve your complexion. Aloe vera gel has soothing properties and helps your skin to heal quickly. It works great to treat acne scars and age spots. It lightens your skin because it contains a compound called anthraquinone. How to apply: Apply fresh aloe vera juice directly to your face and leave it there for 20 minutes. Rinse it off using fresh water. Repeat several times a week to get white skin. One way to learn how to get white skin is to understand how to take advantage of green coconut water. 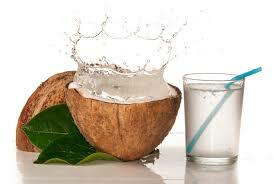 Many people have used coconut water to lighten their skin tone and it may work for you as well. How to apply: Get coconut water – you can buy a bottle or get it out of a fresh coconut. Apply it to your face using a cotton ball. Leave it there for 20 minutes and then rinse it using warm water. Oatmeal can also help lighten your skin tone and improve its overall appearance. How to apply: Combine two teaspoons of oatmeal powder, a few drops of lemon juice, and a pinch of turmeric. Mix well to make a paste and apply it to your skin. Wash it off once the mask dries off completely. Move your fingers in circular motion while removing the mask with water. 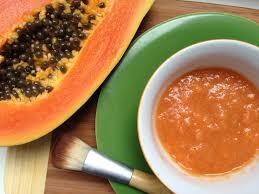 Papaya contains papain, an enzyme that is supposed to improve your skin quality by exfoliating it gently. It promotes growth of new skin cells. The presence of vitamin C is another reason why papaya is good for your skin. How to apply: Take a papaya, peel it and cut into small slices. Put these pieces in a blender and make a smooth paste. Apply this paste to your skin and leave it there for at least 20 minutes. Use warm water to wash your skin. Repeat several times a week to lighten your skin tone. Rosewater is an important ingredient in many skincare products, and that is mainly because it moisturizes your skin and lightens dark circles as well. How to apply: Combine a tablespoon of lemon juice, 2 tablespoons of rosewater, one tablespoon of gram flour, and two tablespoons of milk. Mix well to make a smooth paste and then apply it directly to your face. Leave it there for 20 minutes or until it dries. Rinse it off using fresh water.